So… I started putting together my next blog, then remembered something that I’ve been wanting to put together for a while; a playlist of drummers I’ve come to admire or who’ve simply caught my ear through their creativity as players. This playlist isn’t supposed be ‘the best drummers’, or even said drummers ‘best performance’; believe me it’s not. This is simply a playlist of tracks that have caught my ear as a drummer. Some I’ve played along to many a time, some I’ve never attempted, and some I simply sit back and enjoy. I hope you do to. There will probably be many more to add, so I will update as I go along. This entry was posted in Blog, Playlists and tagged Creativity, Drummer, Drums, Music, playlist, Spotify. Bookmark the permalink. This entry was posted in Blog, News, Video and tagged altmv, Cardiff, Drums, Electronic, Gwdihw, joemarvelly, Leone Vuetivavalagi, Live, Livid Instruments, Music, phantomislands, Yamaha. Bookmark the permalink. News: What’s about to happen… New releases, Networking, Sŵn Festival and more! I’ve still got a lot of work to do on the live aspect of playing. I make a point of meeting members of the audience and talking to them about what they enjoyed, and try getting some honest critisism. Some love it, but some get bored of seeing someone ‘just play drums’ and want to see something more. I try to put as much into my live show as possible when I’m playing, but I think taking it one step further may be the key. First of all what I’m playing. Live drums can’t be good enough if I’m just playing what’s already on the track, so my aim is to start experimenting more. Filling the holes a little, stripping back to the idea of live drums being texture to add to the production, something extra you don’t hear on the original to make my live shows unique. I discovered more recently that if I try recording my drums to place into my productions that it kills the need for them live, but I don’t want that to happen. For this reason I think the most I’ll ever record in is the odd cymbal or percussion. Adding a live sound on top of electronic drums is so much more powerful. With this in mind, on the 10th July I’ll be releasing a new EP for you all to enjoy, entitled ‘Imperfections’. This release for me is a middle ground. I’m wanting to release another album by the end of this year, but that’s quite far away, so I wanted to get something out there for you all to enjoy in the meantime. This EP is made up of 4 tracks… ‘Running Crows’, ‘Dancing Dragons’, ‘New Dreams’, and ‘Underwater Coin Catcher’. I wanted to keep a vibe going throughout the EP, so I spent an afternoon creating ideas for it a few weeks ago in one session (picture below high on caffeine after I’d finished the session in my living room). Those ideas I arranged a week later in my studio, and I’ve been mixing them whenever I’ve had the chance to since. 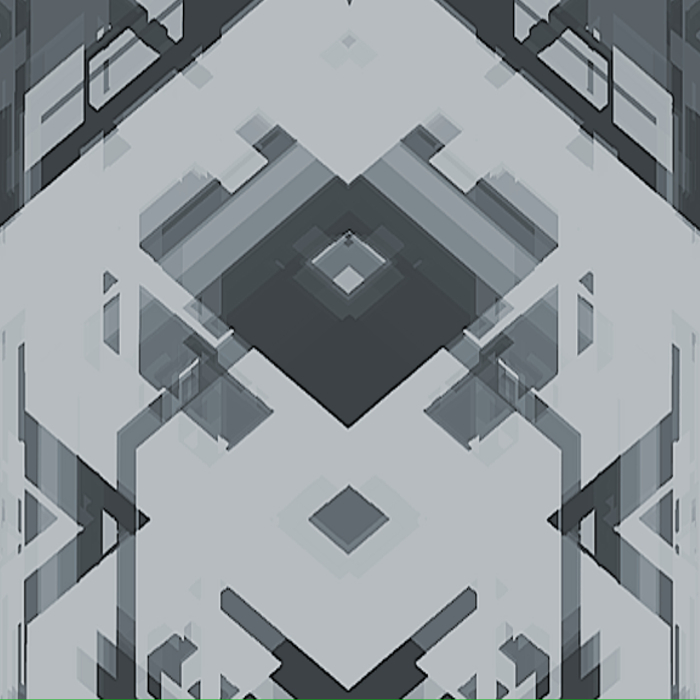 Finally I’m at a point where I’ve just got a few small changes to make before mastering them to send to you, and I really hope you’ll enjoy it. I’m planning to do a short performance of this EP along with a couple of older tracks on the 16th July at Fizzi’s networking event at Fourbars in Cardiff. 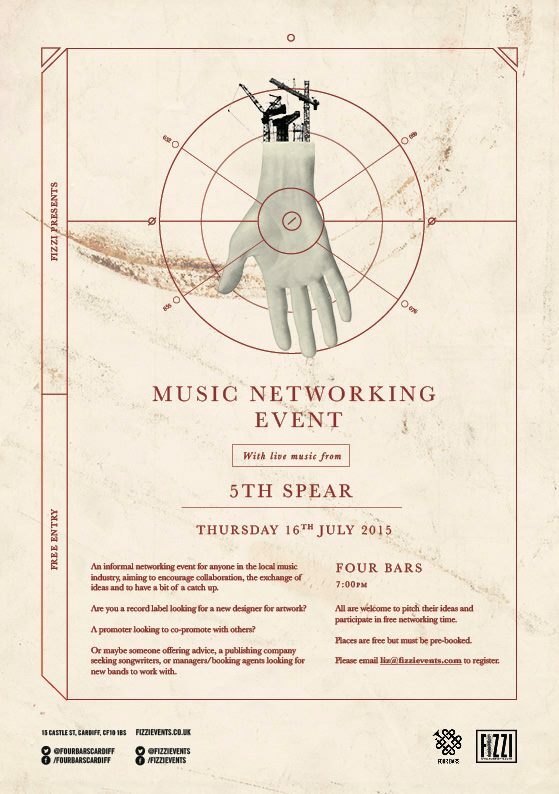 This is a free networking event for musicians and creatives to get together and meet each other. Create contacts, make friends… It was a great evening last time, and I’m so pleased to have been invited back to play for them. Although it’s a little nerve wracking. I would also like to mention that after the previous meetup I got in contact with Ian Tully, one of the attendees who runs ‘Cardiff Electronic Producers Group’ on Facebook. These guys meet up once a month or so, and the next one will be held at Waterloo Gardens Teahouse in Penylan, Cardiff on the 30th July. I’ll be there so it would be awesome to meet some fellow producers. 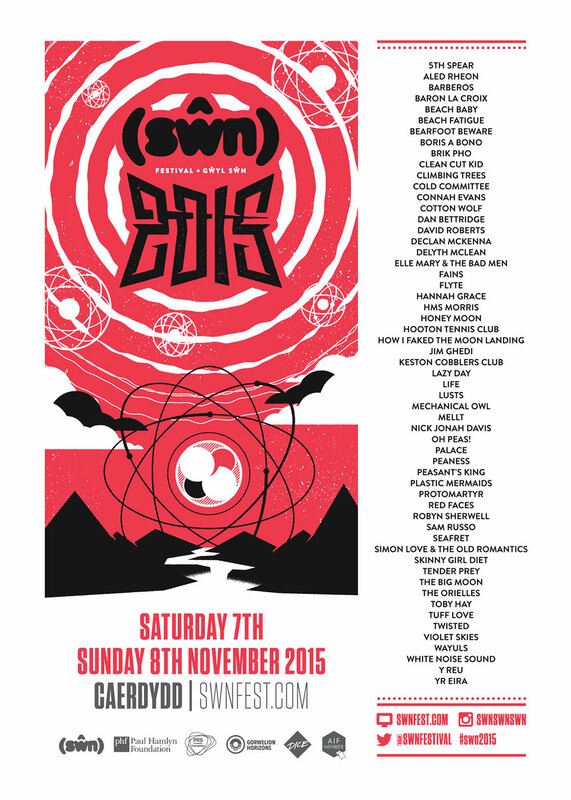 Last but CERTAINLY NOT LEAST I would like to announce that I’ll be playing Sŵn Festival 2015 in November. Details about venue etc will be announced closer to the time, but I’m so very pleased to be featured at this event. This entry was posted in Blog, Events, General, News, Releases and tagged 2015, Ableton, Akai, Caffeine, Cardiff, Coffee, Drums, Electronic, EP, Facebook, Fizzi, Hario, Live, Livid Instruments, New Release, Producer, Swn Festival, v60. Bookmark the permalink.